We will arrange a convenient appointment to visit and provide a free written, on-the-spot quotation together with advice on all aspects of our work. 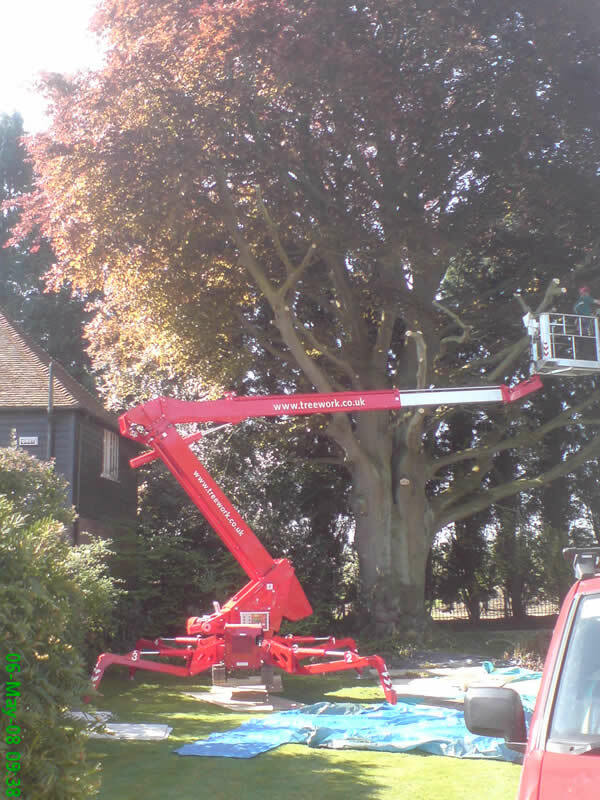 We specialise in trees and have done so for over 25 years, working for a wide variety of clients: Domestic, local authority, construction, utilities, surveyors, property managers, schools and landscapers. 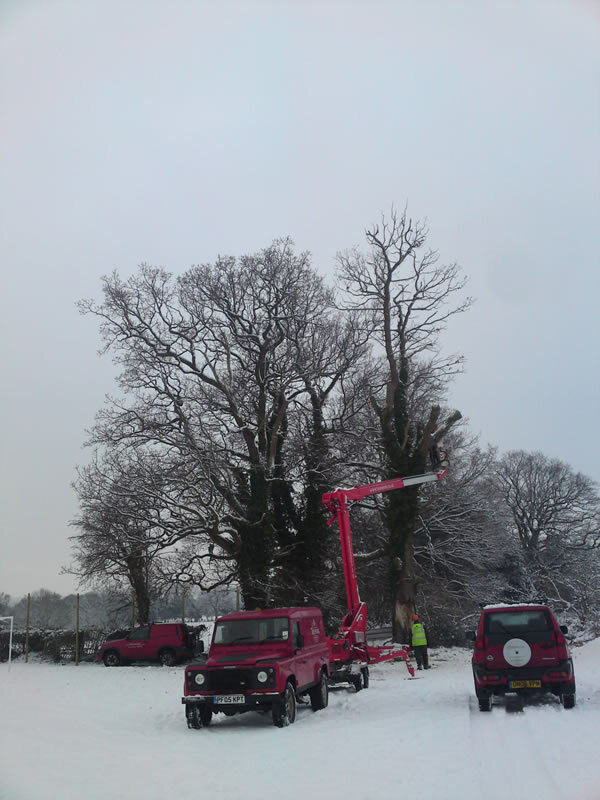 Click on Tree Services to get a little more detail of exactly what we can do for you. We look forward to hearing from you soon and demonstrating our ability to carry out your work smoothly and without fuss. 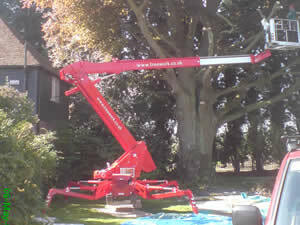 Pruning, trimming and shaping of ornamental and fruit trees will enhance the beauty and value of your garden. Choosing an experienced and trusted contractor is essential. 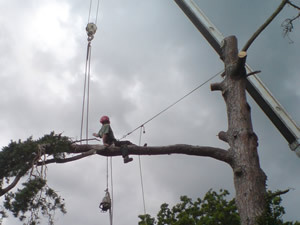 With many years providing an expert service in the safe removal of trees you can be confident in us whatever the condition or position of your tree. 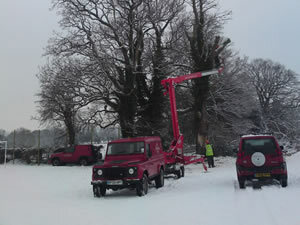 We have a range of machines which can remove any size of tree stump. Narrow or limited access is no problem. Your shrub borders and important screening will benefit from carefully pruning at the correct time of year by our expert staff. 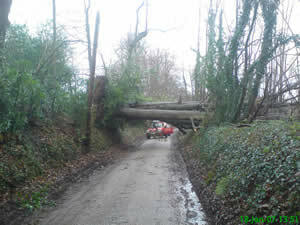 Maintenance of large trees will help to reduce the risk of storm damage. Canopy thinning or reduction can benefit your house and garden by increasing light, improving views and enhancing the value of your trees. Our trained and qualified surveyors can provide an expert inspection service to check the health and safety of your trees. Our comprehensive reports demonstrate your responsible ownership and can provide a tailored plan for future maintenance. 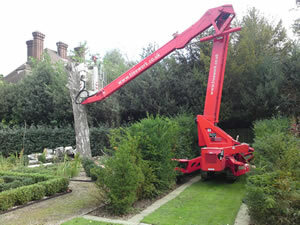 We have the best staff and equipment to maintain your hedges to the highest standard from regular trimming to reduction or reshaping you can rely on us. In bad weather we can cope with any eventuality. I would like to thank your men, who were fast, efficient and polite. We will certainly be happy to recommend your company and to use you again in the future. 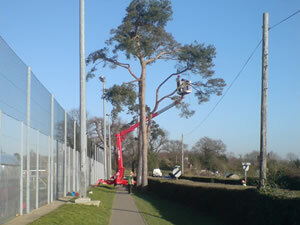 The guys did a great job as usual - very polite and tidied up beautifully - many thanks. 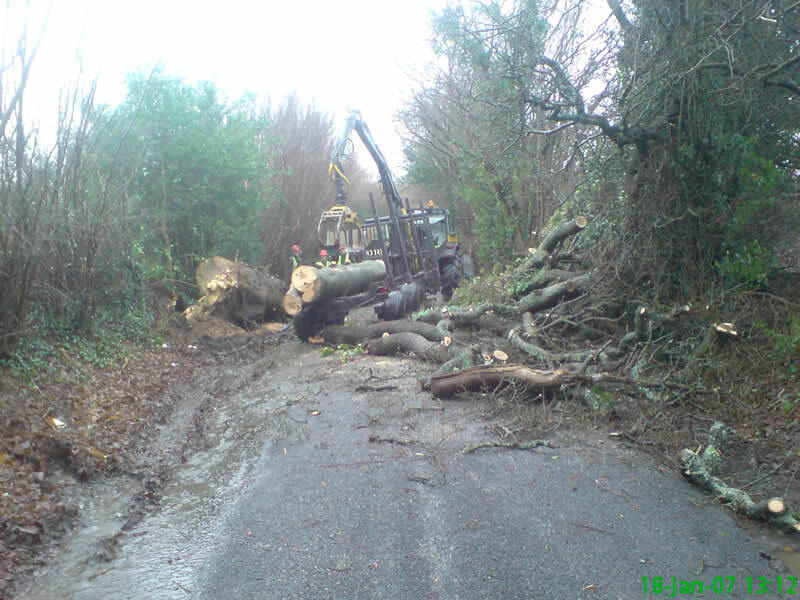 Given some very difficult circumstances I wanted to write to acknowledge the skill of those involved in the tree's safe removal and the professionalism shown throughout the operation. 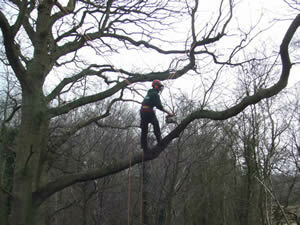 We only employ fully trained staff who are independently assessed to ensure they are competent and safe in their work. 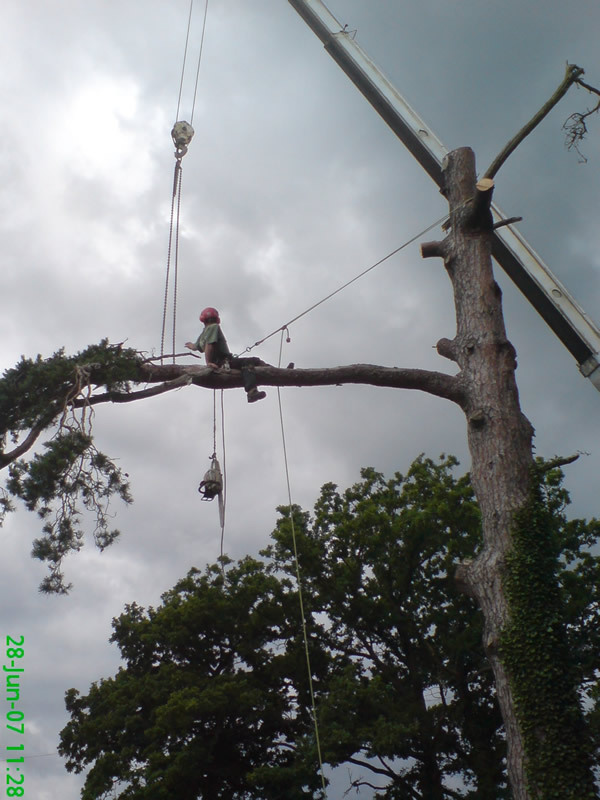 Those who carry out tree climbing and chainsaw use hold the relevant qualifications issued by the National Proficiency Test Council. Most staff also hold an operator certificate awarded by the International Powered Access Federation for safe use of access platforms and slinger/signaller certificates for work with mobile cranes. Further qualifications from Cabwi for carrying out Street Works and Lantra for Professional Tree Inspection have been achieved. All teams have at least one member trained in Emergency First Aid. We have an on-going policy of updating and improving training for all staff. We currently have one apprentice receiving training at Plumpton Agricultural College and hope to be able to fund another in 2014. 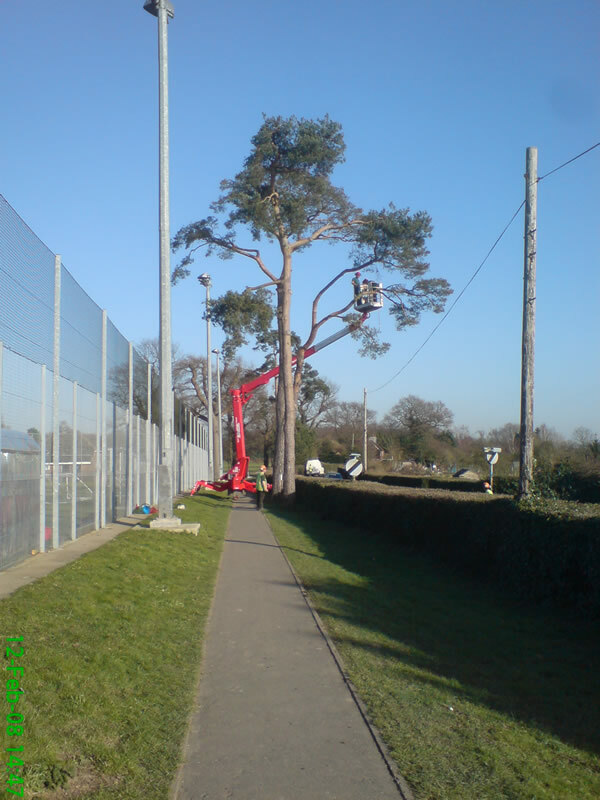 In 2008 our company was successful in gaining the quality assurance standard ISO 9001:2000 for the provision of tree surgery and arboricultural services. 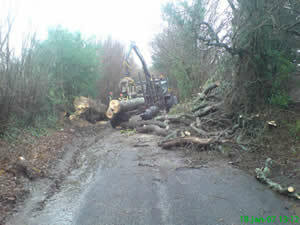 Treework (Tunbridge Wells) Ltd holds full liability, employers and professional indemnity insurance as shown here. At Treework, we understand the need for additional financial information and the importance of knowing the costs before engaging a contractor. 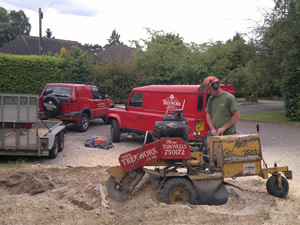 We are happy to offer a free, prompt written quote before undertaking any work. 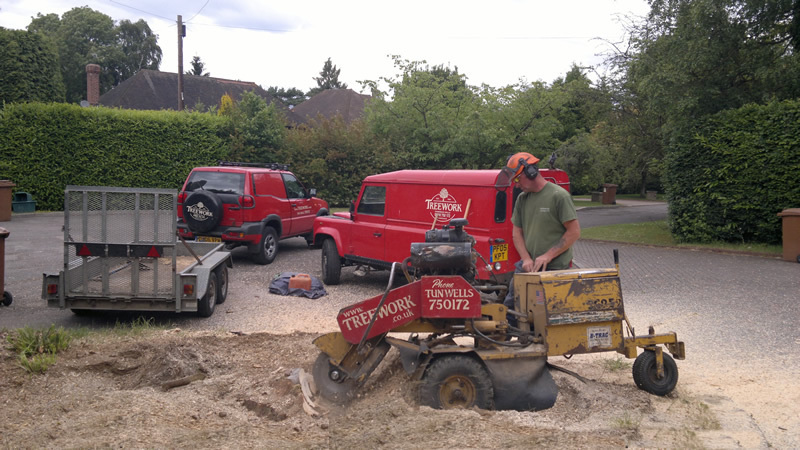 © 2019 Treework (Tunbridge Wells) Ltd. All rights reserved. Built by Herons IT.